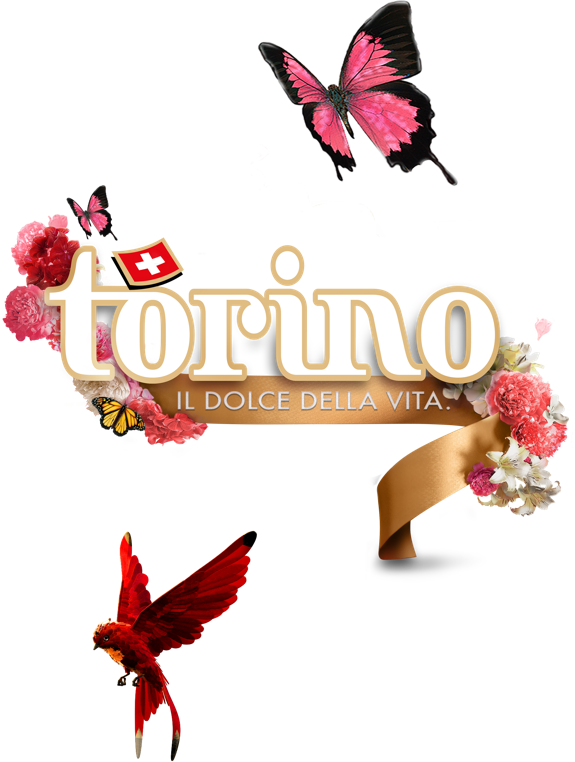 Torino is known as the 46g chocolate bar made in the house of Camille Bloch. The product range surrounding this chocolate bar, made of the finest milk chocolate with a delicate praline filling, is gradually expanding. Just in time for the launch of the “La Piazza” chocolates, a new visual experience is created for Camille Bloch’s Torino line of products. This occasion was taken as an opportunity to implement the website in a contemporary and modern way. The aim was to embed the new brand identity into the digital environment. Creating the website without having a finalized branding was a challenge. Nevertheless, Enigma managed to offer the user an unforgettable online experience and a hint of “il dolce della vita” of Torino. The design and website concept “Un univers féerique” is characterized by a button or a flip switch that activates the “il dolce della vita” world of Torino. The presentation without effect was created in a dominant blue, while the use of gold and red was maximized to characterize the branding. As soon as the flip switch is activated, the “Torino effect” blossoms. The backgrounds change & light up, birds and butterflies come alive and flowers bloom from all sides. This effect can be enabled or disabled by default. The website has been created based on a modular system. The different modules are separated by the branding-based colors. The colors of the modules, as well as the corresponding font color can be changed at any time in the backend of the editor. With the “On-Off-Button”, the user has the possibility to dive into the “il dolce della vita” world of Torino at any time and to get away from everyday life for a short moment. The “Hamburger Button” takes the user to the menu, which provides a clear overview of the website. The website allows the user to immerse into the animated world of Torino and creates an unforgettable online experience. The ambience draws the eye directly to the visual elements. In this way, all users experience “il dolce della vita” for a moment.